Although some consider it dated, I see black and white as a timeless medium. It will forever be a beautifully simplified way of viewing the world, with attention tuned into the basics of texture, form and contrast without the added distraction of color. Please enjoy my gallery of only black and white images. 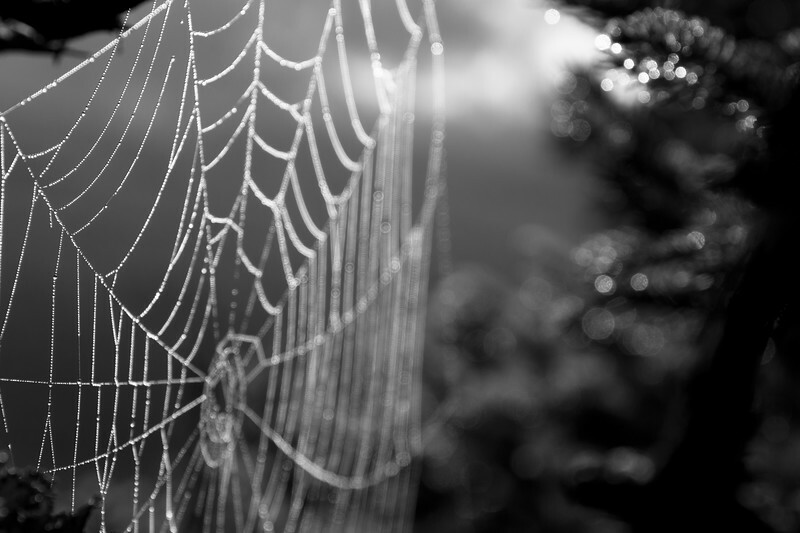 Morning dew shows off the intricate handiwork of a spider on top of the Worcester Range in Stowe, VT.